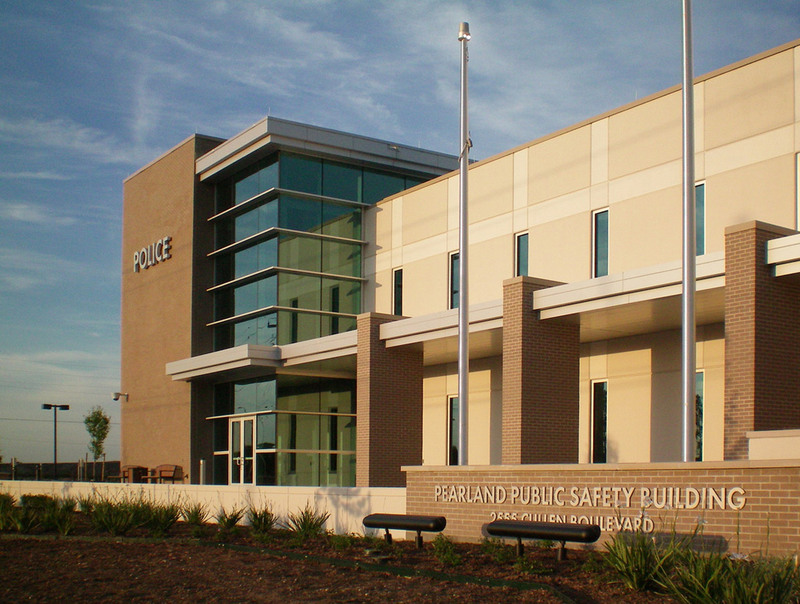 The new 81,000 SF storm-hardened Pearland Public Safety Center designed by Police Facility Design Group houses the rapidly growing police department as well as municipal courts. 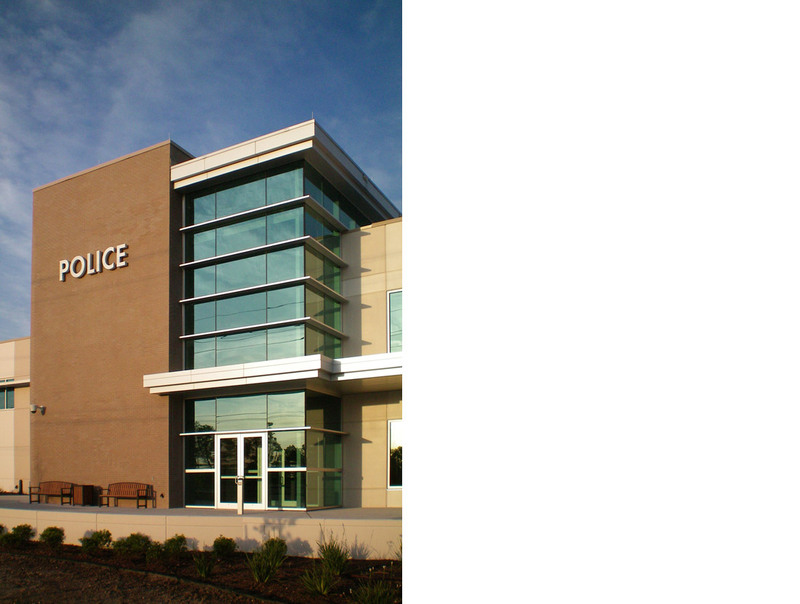 It also provides access to City Utility billing services either inside the facility or at a drive-up location, the County Tax Assessors office, Communications and an Emergency Operations Center. 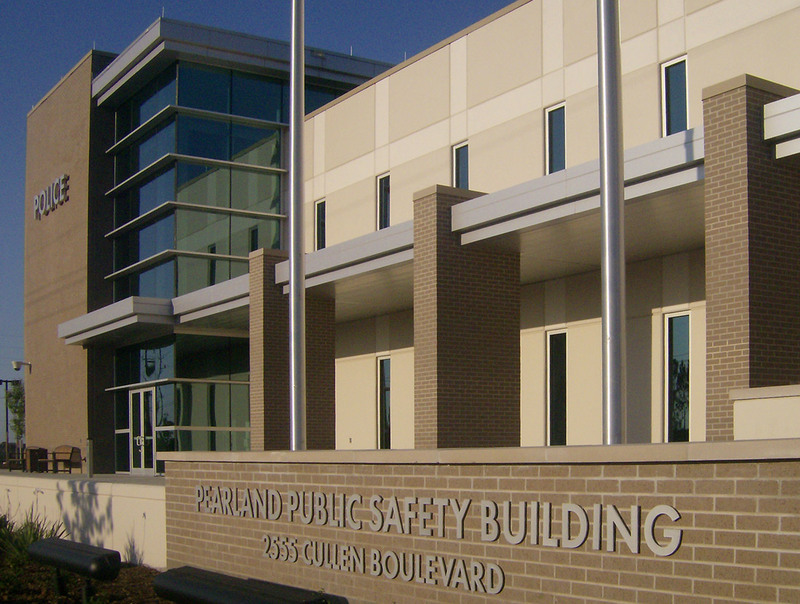 With the various agencies occupying space in the building our design ensures that proper security measures are met and functions requiring a high degree of confidentiality are maintained. 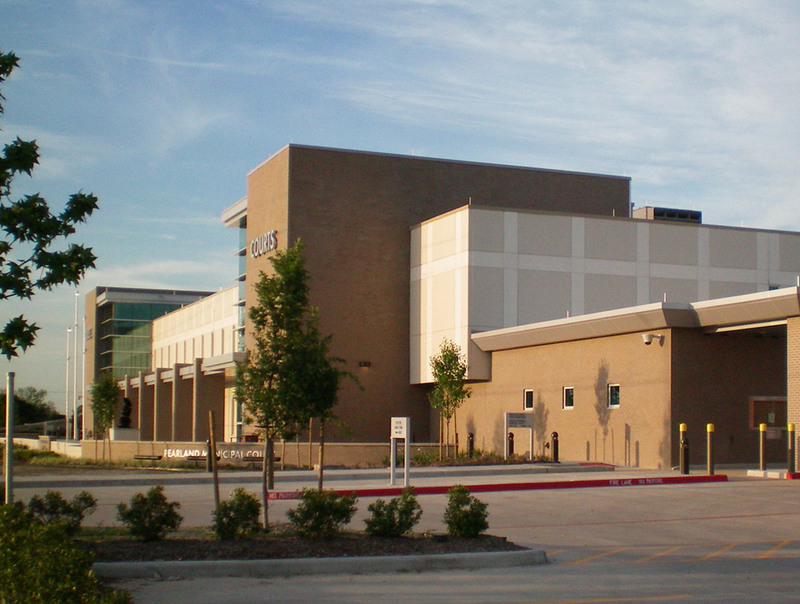 Because of a City’s new mandate for sustainability for new municipal facilities, this state-of-the-art building was the first new municipal facility in Pearland, Texas to achieve LEED Silver certification. 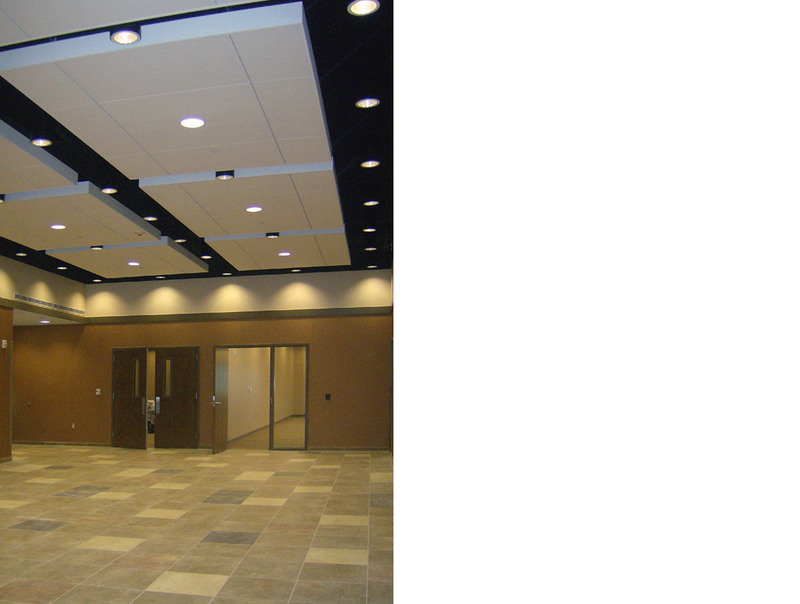 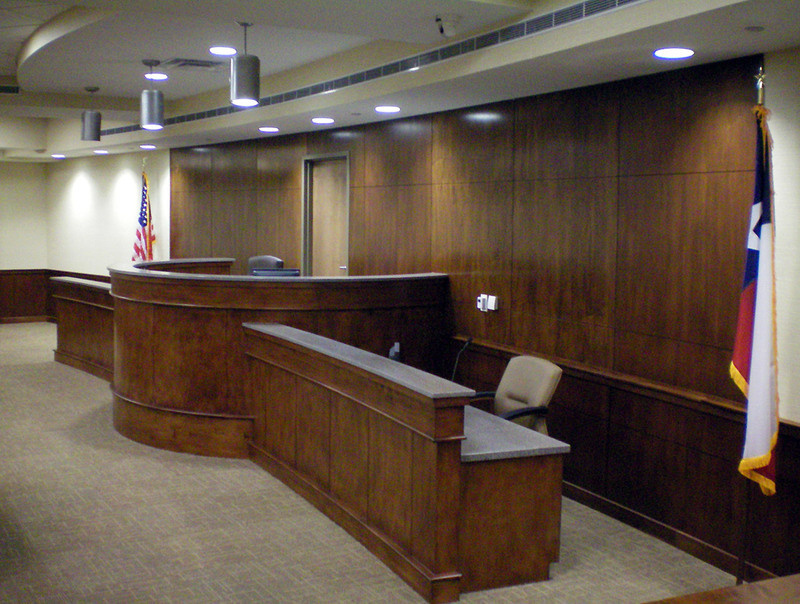 Construction was completed in 2010 for this project in association with JE Dunn Construction utilizing design-build as the delivery method.